In conjunction with the four-year WRC programme and M-Sport's WRC customer business, Ford's decision to transfer responsibility for the Fiesta JWRC to Dovenby Hall is intended to establish M-Sport as Ford's centre for international rallying. 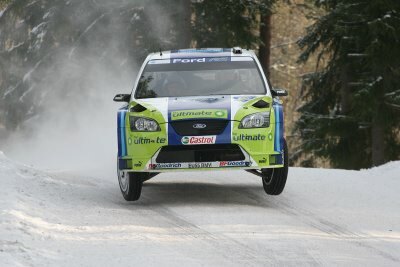 "We will continue to provide the Fiesta JWRC and Super 1600 cars for private teams," Capito said. "To ensure that the Fiesta remains competitive and fulfils its full potential, M-Sport will take over immediate responsibility for the development of this programme and customer support. It will be fully integrated into Malcolm Wilson's activities to guarantee that our customer teams receive the best possible support for their Fiesta programmes.